It’s been almost four years since we lost our third baby. That fact alone absolutely astonishes me. To think that I could have a three-year-old named Alex running around our house right now makes me smile, feel overwhelmed and very sad all at the same time. During the time directly after our miscarriage I often felt as if God was withholding from me. I knew him to be a big, strong, mighty God. Creator of the Universe, hanger of the stars, mover of mountains. It just seemed like he didn’t want to move any mountains for me. Have you ever asked yourself that question? God, I know you’re big enough to change the mess I’m in, so what gives? Don’t you love me enough? Do I not matter to you enough for you to do something? Anything? I did a lot during that time. Knowing what God was capable of and watching him withhold it was one of the most difficult issues of faith I’ve ever known. At 37, I still find myself mad at God from time-to-time when he doesn’t do what I think he should. But I’m learning there’s purpose in our pain. He doesn’t take just for the sake of taking. He always takes to give. If you’re still in the midst of your mess it’s because he has more of himself to give you that you can only learn inside the mess. That’s a hard lesson, and I don’t profess to understand it completely. Nor do I mean to make healing after such a major loss sound trite, but the truth is that God is a giver…and the thing he most wants to give you is more of himself. 2. God wants you to cry out to him in your pain. He knows this world stinks. He knows it’s painful to walk through the messes life brings. Some of them come from our sinful choices, and some of them seem to happen no matter how righteous a life we live. Regardless, he wants us to come to him when life hurts. He’s the God who bends down to listen (Psalm 116:2) and he wants to comfort us with his word and his presence. 3. God WILL comfort you. Can I be honest? There were times after our loss that I didn’t want God to comfort me. I didn’t want to read the Psalms, or listen to how God was faithful because it didn’t FEEL like God was being faithful to me. What I learned is that my feelings don’t always tell the truth. In fact, the times when I’m MOST emotional are the time my feelings lie to me most. Just because I don’t feel like God is listening doesn’t mean he’s not. His word tells me he is. There comes a time when we have to make a choice to believe what the word of God says, despite how we feel. My experience says that when we do that, faith and comfort will follow. 4. God gives us faith. I can’t count the times I prayed this prayer in the aftermath of my miscarriage (and honestly, I still do…so often): God give me faith to believe you’re here and that you love me enough to get us through this. I’ve learned that if I don’t have enough faith on my own, God can and will give it to me. Mark 9:24 tells a story of a father in desperate need for healing for his son. Jesus told him anything was possible for those who believe. His answer? Lord, I believe. Help my unbelief. If you have any amount of faith whatsoever, give it to Jesus, and ask him to give you enough to get through your mess. He wants to give you faith. He wants to see you overcome in his name. He’ll be faithful to give you faith. If you’ve suffered any kind of pregnancy loss—miscarriage, stillbirth, abortion—would you let us know in the comments? We would love to cover you in prayer today and ask the Lord to help you heal. 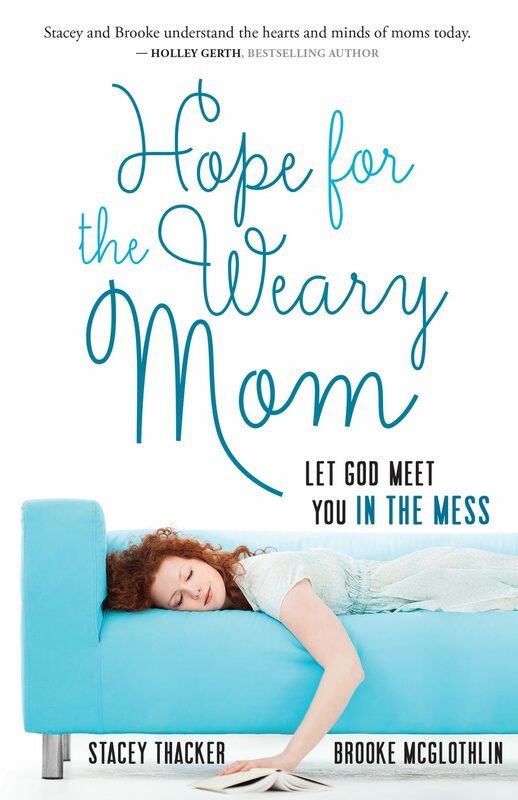 In Hope for the Weary Mom, I tell my miscarriage story, and detail the way God brought my heart from broken back to beautiful. 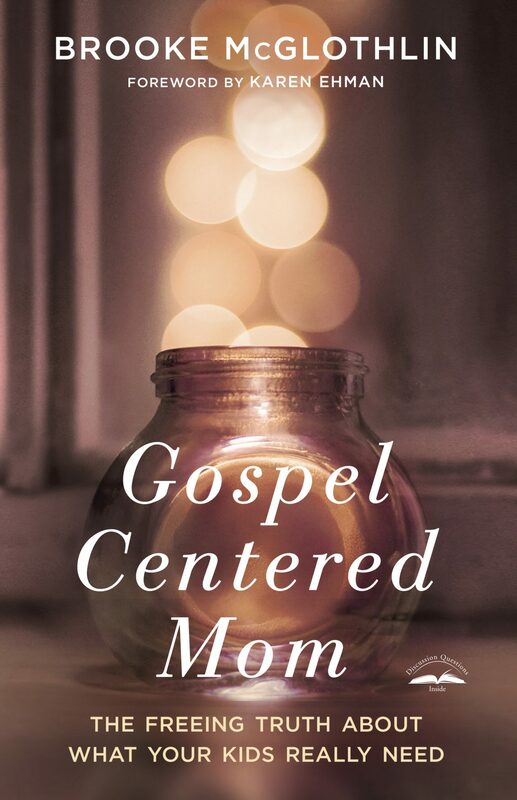 In Gospel Centered Mom, I talk about how God uses our stories to show others He’s worth following and explain the purpose in our pain. 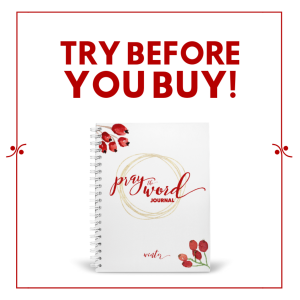 Both resources are perfect for moms experiencing the pain of miscarriage. Buy your copies by clicking on the links above today. What’s Going on with the BoyRaiser? I too had a miscarriage. 10 years ago. Can’t believe it’s been that long. I was somewhere between 6-7 weeks along so I have no idea if the baby was a boy or a girl. I don’t remember being angry with God. I was so completely devastated. I cried for a month every day. However God did a great healing and then blessed me with another pregnancy. Which I couldn’t be more thankful for. I remember being angry with God regarding my divorce and how silent He was and far away He felt. That’s a whole different story there. Thank you for sharing your story. Thank you so much for sharing your experience! We lost our second child to miscarriage two weeks ago. The pain is so fresh and at times I’m so angry at God and myself for not being able to help our sweet angel.At the same time I know He is with me. His comfort and the peace I’m starting to find are evidence of His love for us. I know one day we’ll see our baby again. And that is what keeps me going on the bad days. I lost a twin early in my pregnancy of 2011. I believe the baby was a boy and his name is Daniel. One night I was up late crying out to God how I missed my baby and then I saw a young boy( 1-2 years) with blue eyes looking at me. He was sitting in a person’s lap and that person was sitting on a throne. I then quickly realized it was Daniel sitting on the Lord’s lap and he had blue eyes just like his brother Levi! I don’t know why the Lord revealed that to me, but I’m thankful! I miscarried in 2003, I was 11 weeks along. Me and my husband had a hard time getting pregnant and had decided to adopt. We started the adoption process but stopped when I did become pregnant. It took a long time to heal from that great loss. Faith would be 12 years old. But God had already set his plan in motion with us starting the adoption process. About a year after our loss we decided it was time to start again. One year to the day after the loss of our child we completed our home study and 6 months later we were blessed with a 3 1/2 year little boy, and one year after that we got to adopt our second child another baby boy. I have to admit that sometimes I still wonder why God let me get pregnant just to have it taken away, but all I have to do is look at my sons and know the answer to that question. I know that some day I will get to meet Faith but until I do I have 2 wonderful sons that God blessed me with to love everyday. This is true and I believe there is always a place in my heart for our little angel. And God does being you through. I hit that true dark spot after we lost our little one in Oct 2008 then in April 2009 we was told that my husband had stage 2 colon cancer. I hit my all time low asking GOD why you took our little one and now my husband. But today my Husband will tell you God provides and he lives cancer free with and amazing testimony. And to top it all off Doctor said we would never have kids today we have two amazing blessings. So God knew that we could not handle the little one while we was going through the other. Yes I still think about the other baby but I am quickly reminded about the amazing work GOD has done. We lost three babies in 2010, in addition to a failed adoption in 2011. This post here was very timely, and the reference in Mark 9 is going to become my personal prayer. Thank you. 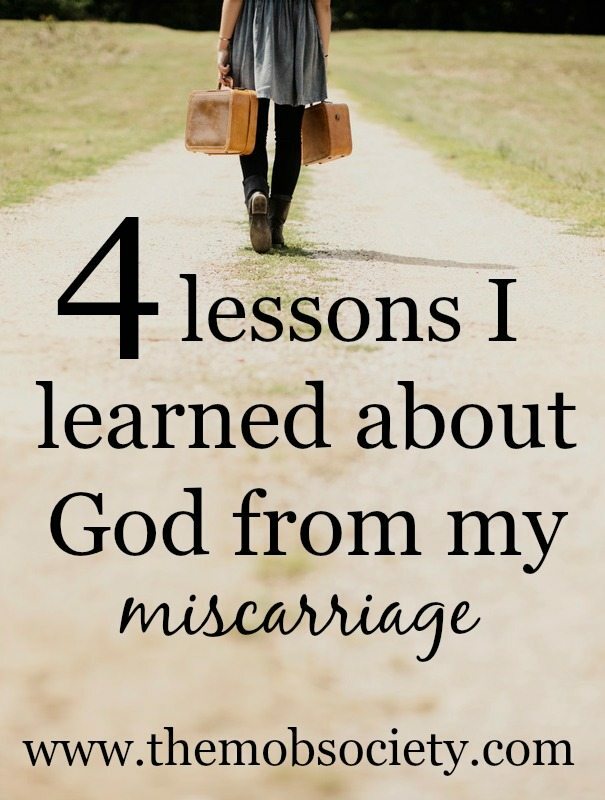 Thank you for writing about miscarriage and how God can bring us through it! Thank you for sharing your experience. We lost 3 babies between 2000 and 2001, 1 at 23 weeks, 1 at 20 weeks and one just shortly after I found out I was pregnant. These were the darkest times for me, having to give birth to and say goodbye to 2 sweet, perfect babies that just entered this world too early! ONLY through God’s grace, have we been comforted and have been able to comfort others. It’s so comforting to know we are not alone, especially in a time when that is exactly how we feel…TOTALLY ALONE! We can’t wait to see our sweet, precious babies again one day <3 Thankfully, God blessed us with 2 wonderful boys through adoption. They will never replace our babies in Heaven, but they certainly fill our lives with love! Thank you for writing this! So encouraging! Mark 9:24 is one of my favorite verses. It has been 5 months since my miscarriage, and it is still tough sometimes. Shawnee would be 5. I miscarried her in July of 2009. There is not a day that goes by that I don’t think about my angel in heaven,while taking care of my angels on Earth. 11 months later I was blessed with my daughter Emily, and then 11 months later my son Parker. I am now a proud mama of a 10 year old boy, a 4 year old girl, and a 3 year old boy! God is good and blesses us when we least expect it. I do not believe God is some stingy hording miser who is looking to take things from us, point in our face, and laugh. But to say He doesn’t take – at all – I do not agree. It’s all His to begin w/ should He take something away to grow us to be more like Christ … that’s His. Hey Stef, maybe I didn’t word that well. What I meant was that God’s taking is always a giving of himself. It’s not taking for taking’s sake, but always represents him giving more of himself in some way because it’s a part of his master plan. I’ll think through that wording and make a change to reflect it 🙂 Thanks sister. Your encouragement during our miscarriage was so meaningful to me. I’ll never forget that your willingness to share. Yes, sometimes the Lord does “take” or withhold. But her sentence, “He doesn’t take just for the sake of taking,” helped me clarify. For me, I try to remember that “No good thing will He withhold from those who walk uprightly.” Psalm 84:11. Then I have to trust by faith that the thing I want, that I believe to be good, must not be good for me right now, or He would not keep it from me. This is hard and yet has grown my faith and trust in Him immeasurably. I miscarried our second baby 2 years ago at 11 weeks. However, the baby died at 6 weeks. I was devastated because I’d carried a dead baby for 5 weeks, not knowing. In my grief, I believe God revealed to me that the baby we lost was a boy. So I called him Jonathan, “gift of Jehovah.” He has been a gift… even though we never held him in our arms. It’s been a gift to allow others to come along side us in our grief. It’s been a gift to share in the grief of others who have experienced pregnancy loss. 13 months later, we were blessed with our now 1 year-old rainbow who is filled to the brim with life! Thank you for posting this. It is very helpful and a reminder that God is faithful. My husband and I tried for two and a half years to get pregnant. Last September we found out we was expecting! Both of us was so happy and so was our families. The first grandchild for both sets. After only a few weeks of knowing we was pregnant on Oct 3, 2014 around 10 pm we lost our baby. It is very hard at times. When I first lost the baby I didn’t want to hear God was faithful and He has a plan. It is still hard at times when I think we should be getting ready to have our baby or when I see others around me having babies without any problems. I keep trying to push forward and keep the faith. Some days are easier than others. There isn’t a day goes by I don’t think of my baby. I can’t wait for that heavnely renuion. I am so sorry for your loss and I know that pain. Our Lord can handle your grief, and will comfort you in that ache. I lost a little Esther Grace Oct 13, 2013. It has been the hardest thing in my life and yet has also been one of the biggest revealings of God’s love and faithfulness. I had a complete placenta prevail and was hemorrhaging. The Dr’s wanted me to “terminate the pregnancy”. My husband looked at me and realized that he was looking his wife. We had 3 children at home. 1 was under 1. I could not kill my baby. I cried out to God for 10 days. Oct 13 I woke up in labor. I had never been able to labor naturally but God granted me this. My children still have their mother, my husband still has his wife, and I now have a new little one snuggled on my chest. Esther will always be a part of us. Her story will forever remain with us. My older 2 talk about her. The guilt I feel now is hard. Almost harder than the grief. I have a beautiful 10 week old boy that would not be here had I not lost Esther. The guilt I feel over my joy in Josiah is too much at times. You’re joy in your son is fully right- it’s obvious in the words you wrote you love both your babies. I pray you continue to find joy in your son and continue to remember the baby you lost, they are both gifts from God. I suffered two miscarriage this year. All I know is God still had a purpose for both those babies I lost- I have two healthy boys, I think how blessed I am to have them. For me the hardest part is not knowing those sweet babies now, though I believe someday I will meet them. I am also so filled with fear it might happen again, so much so my husband and I are not sure we will try for more. I believe you are brave for having your son even so soon, and loving him so much. I don’t think I’ve ever talked with anyone about this besides my husband and God. Putting it out here publicly is one of the scariest things I might ever do (I’ve already re-read this 3 times and been so cared to click “post”), but your post touched me. It touched me because once again you are speaking your heart for God. 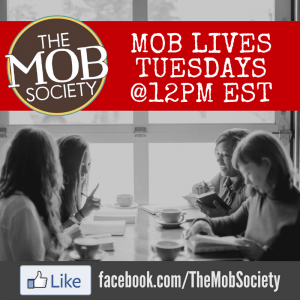 You are doing it for the betterment of moms and Christians. And you included the word “abortion” in those who have suffered a failed pregnancy… something I’m not sure I’ve ever seen before. Abortion is that ugly word (and rightfully so)… but it’s real and it has affected so many in this fallen world. Before I was saved, my husband and I had an abortion. It’s something that still chokes me up and rips apart my insides. It makes me feel unworthy to be alive. Unworthy of the 3 beautiful boys I have today. Unworthy of God’s love. And yet we all are unworthy and tainted by sin. I have cried out to God asking him to take this pain away… to tell me I’m his child and not defined or forgotten for this horrible choice I made. I hold tight to Ephesians 2:8-9… I am not saved because of anything I could have done but because of everything God is. Thank you for opening your amazing heart (especially one that has endured the loss of a baby, not by choice) to a group of women so many people forget — those that wish they could turn back time and know a different end. But it is all to God’s glory, and I have to believe that even such a terrible, painful decision will glorify our almighty God nonetheless. Thank you, thank you, THANK YOU. You are brave and loved. I’m sorry for the pain that your past choice has caused you, but sense that our Redeemer can use even what the Evil one meant for harm as fuel to your own passion for motherhood and the heart of women. Somehow, our Lord takes the worst and makes it beautiful. Friend, your post stirred my heart so much. I am glad you have gripped the truth of God’s love and forgiveness but I encourage you to allow God to do EVEN MORE than you can imagine by stepping into the healing journey of a past abortion. I promise, it will change your life! Please visit http://www.surrenderingthesecret.com for some resources!My love and prayers! Thank you, Pat. Love having you and your heart to serve and facilitate healing in this space. I think you are very brave to share this. I have gone two years now without my daughter who was stillborn. I also had a miscarriage. Before I was married and before my best friend lost her little girl I was “pro choice” and wondered if I would ever have an abortion had I gotten pregnant. Now I cringe at the thought of an abortion, but I do not at all cringe at your post. Your post was super brave. I still have not tried again to have another because I am so traumatized (as is my husband) and I just don’t hear God speaking to me that it’s time. I wonder if I ever will again and I at this time have no desire. Some people say it’s because I need to heal more but who knows! The message I hear from the Holy Spirit constantly is “You will be the Mother of many children but they will not come through your body.” I wonder at times if this means I will be a spiritual mother that brings more people into His Kingdom mostly this is okay with me. I want you to know that again, I believe you are very brave to post about your abortion because it’s definitely a loss. I love you very much. I am grateful for the gifts God has given your and your husband. He does not condemn us. Hold tight to that scripture also. John 8:10-11. Please, lets continue to keep one another in prayer. We need one another. Thank you for writing this! I have experienced two midterm miscarriages (babies #5 and #6) in the last year. I can’t tell you how I’ve struggled with this very thing. I KNOW God CAN do things for me but I struggle with my faith that He WILL. And I know when He deosn’t it’s part of a bigger plan but boy, does that make me angry sometimes. I am currently in the first few weeks of a new pregnancy and I can’t tell you how I’ve been struggling with giving my fear over to God. I’m afraid that He will take this baby too. I’m afraid it’s not “in my plan.” I feel so broken and desperate. I think of that story of the father with his child all the time. “Lord, help thou mine unbelief.” I pray that prayer all the time. Thank you, thank you for this article. It helps to know I’m not alone in feeling this way and that there is hope even in the mess. We are kindred spirits (not to mention the uncommon name). I had 3 miscarriages before I had my “last chance baby” – my son who will be 2 in May. Thank you for sharing. I had s miscarriage 2 years ago after 5 years of infertility follow my only child. Still praying and trust in the Lord that He loves me and knows what is best. And yes, it is amazing what He teaches in the trials as He continues to heal. I needed this today and God’s timing is amazing. My husband and I suffered a miscarriage December 26, 2014 and we are still grieving this loss. I also am recovering from postpartum depression and struggle to keep jealousy out of my heart when I hear of others, including family members that started trying right after they heard of our loss, quickly getting pregnant. We tried for a year for our third child and had given up hope. When we found out we were expecting again we felt so blessed. That was too quickly taken from us. We can’t see the purpose of this or what the good is to come of it yet, but we pray that we will use this for good and our hearts will heal. I would an 8 month old Alex right now and I just lost Izzy almost 2 months ago. Thank you for your words…all true. Such a beautiful article. Thank you for talking about a topic that so many try to escape. Many hurt and suffer in silence or not knowing what to believe afterwards. But reminders like this can refocus our hearts to the Creator who doesn’t do for harm or punishment, but for His glory. If God had allowed, we would have just had our little one within the past few weeks, or right about now. Thank you for this. Very hard lessons to learn and accept but the joy is found in knowing that God’s not finished with me, He’s still workin on me. We’ve lost a full term baby boy(Thomas, stillborn due to a cord prolapse) in 2008, our second son(Seth, 16 in 2013 due to a drowning accident), and 2 miscarriages within the year following our son’s death. I totally get not wanting God to comfort us at times and asking Him to give me the faith to continue on. Thank you for your vulnerability, for offering up a very personal area of your life. We are on the heels of our second loss with a 5yo boy sandwiched in between. Given the 1-2% chance of conception on our own this last time we were shocked, elated to have even conceived! We thought, “wow, God, what an amazing testimony this will be.” When the déjà of the erratic then no heartbeat came, the testimony now has become the evidences of God’s grace in the midst of pain and suffering. As Kara Tippetts shared so often at the end of her life, “the absence of suffering in my life is not my good. The nearness of God is my great, great good.” My prayer is how to care for other women going through miscarriage. Recently, I felt compelled to share our story, to encourage others they are not alone, to give a voice to the silent sorrow of miscarriage. Thank you for sharing this. . . I just buried my baby boy after learning at 20 weeks that he no longer had a heartbeat. I am still in the middle of the raw, overtaking pain. I know God is good and I do trust His plan. Just trying to let myself feel the pain and heal in time. Thank you for sharing this wisdom. I’ve had 3 abortions and 4 miscarriages…….I’m still pretty numb! Haven’t really grieved or done any healing……..the article was good! I honestly don’t think I deserve Gods forgiveness……..
Katherine, none of us deserve God’s forgiveness, but He wants us anyway! We lost 2 newborns 21 months apart, and I felt numb for years. Something that comforted me was imagining my children basking in the love and light of heaven, worshiping the Lord with no weakness, no shame, and no barriers to keep them from knowing Him fully. All of our children are so loved right now! And when God looks at you, dear Katherine, He has the same look of love as He has for them. Let Him show you His healing power and live the rest of your life thanking Him. Isaiah 61:3 describes what He did for me, and He is able to do this for you as well. Katherine you are so loved. I love you. I suffered stillbirth and miscarriage. I know that our Father forgives you. I pray that in time you will feel the deeper Love he has for you because He does. I also love you. Today is the one year anniversary (4-17-2014) of my son James Richard’s still-birth. He was full term. Preeclampsia set in very mightily and suddenly, so he failed to get nutrition. And another loss 8 months later, this last December 1, 2014 (I must have been maybe 8 weeks by my calculations) I lost my tube to a right side ectopic/tubal pregnancy. I’m a little too crazy right now to try again so soon, so I don’t yet know if the other tube even works. One good thing that came from that day we lost the second, we saw the ec. preg on ultrasound and he scheduled to do laproscopic surgery that evening instead of trying something like methotrexate which I don’t think I’d have agreed to anyway, within minutes of going in, it must have burst because I didn’t lose too much blood to need a transfusion but it was def. burst. The pain was just a little twinge that felt like ovulation pains until 30 minutes after I checked in for pre-op when suddenly the pains started growing and growing but still not quite “excruciating” so we had doubted that it was ectopic quite a bit. When he was in there he took a look at my ovaries since he was in the area with the camera, and even took a picture and said that they looked great and that if we end up having to go IVF we are great candidates, especially since we got pregnant with these two so easily. these are each our only children…. and I’m so scared to be pregnant again because both times I have been the baby died and I had a great risk of dying as well and I knew it and was aware the whole time of this. Thank you for this article. I’m 1 week post d&c for a miscarriage. At 9 weeks I had gone in for an ultrasound only to find baby was measuring 6 weeks. Blood work was showing a very slow increase but not fast enough. I spent every other day getting poked and prodded. Right before my second ultrasound I had a feeling to ask for more blood work (it had been 10 days) they honored my request. To my painful surprise the numbers had finally dropped some. We were heart broken as we had tried for almost 4 yrs before giving up. That’s when it happened! I then got very sick, a week later dr did an ultrasound only to rush me Is for an emergency d&c. The placenta was still there and infection was starting. 1 week later I’m feeling much better physically. Emotionally, it depends on the day. I’ve blamed god a lot thru out this process but I’m realizing he has a bigger plan for us! Great article! I disagree with one point: God gives AND TAKES. There are many examples in the Bible of God taking (think Job), but it’s always for His purpose and His Glory. He tells us we won’t understand it now, but we will someday. Had 2 miscarriages I’m really sad about. First with twins at 8wks and a year later just soon after finding out I was pregnant at 5wks. I’m disheartened in trying to have children, scared to even get pregnant a third time only to wonder every day if I’d lose another one at anytime. It’s hard seeing everyone else I know with there children or finding they are pregnant yet again. Even with all I know of God’s goodness & faithfulness I’m still struggling a bit with this doubt & pain following me around. I have great friends and godly people around me praying for & with me even months after the fact… I know God gives and takes… I just need to learn to be ok with that & trust He is Almighty & his ways are higher & better than my own. Thank you for this deeply personal message. We lost 2 babies at 12 weeks, and my heart still aches for them. There is such truth in your message. It took a lot of years, but I now understand that this loss is what brought me to a deeper understanding of who God is and what He wants for me. Sometimes, I feel we are brought to our knees so He can lift us up. Thank you for sharing about this loss. It’s something many don’t speak about, or understand unless you’ve gone through it yourself. God’s blessings to you! I miscarried a month ago and I’m not doing so great. Prayers would be greatly appreciated. We had been trying for a year and then we lost it the day after we found out. I dont know if your prayers will help me right now. I hate God right now for taking away my hope, my surprise twin ivf pregnancies at 44. Now im full of self doubts and hate everyone around me. Hi, I lost my baby 1 month ago and 20 weeks. I’m in a daze, I am angry. Especially seeing other friends getting what I wanted most. My husband and I have three boys under 8. We miscarried hetero-topic twins not quite 2 years ago. The doctors did not k ow there was an ectopic two . Because it went unnoticed I ended up losing both babies. I feel the enternal hole in my heart. Everyone seems to get very annoyed to be around me because I might get a little teary eyed remembering or seeing someone with a new baby. It hurts so much… every time. I am currently going to a fertility specialist to repair some damage that was caused by our miscarriage. Apparently they are the only ones with the necessary training. Its hard and trying to keep it a secret from our families (except a few to arrange childcare) because they think we are trying to have fertility treatments and the judgements are just flying all around. The doctor did indicate that there is a possibility of getting pregnant again after the repair. It is a necessary repair because it may cause another ectopic miscarriage if it is not taken care of. My heart aches to think we may have had 2 more little ones running around. Trusting God that my procedure may help us to continue in growing our family. I have had two miscarriages. After the first one I was told by my mother (a devout christian) that God allowed it to happen as a result of me saying I didn’t think I wanted kids when I was younger. When I had the second miscarriage I started to think she was right. This is still a very difficult topic for me to make peace with in my heart about God and his goodness. I have made progress in the 7 years since number 1, but I know there is still more to make. Hi, Lola! I don’t believe, I strongly disbelieve God would allow miscarriage because of your words in the past. That would be so unfair. I had same thoughts, because I was abused and I am still (I’m doing so good) full of wounds. I didn’t want to give a life to an innocent child to suffer or to see me suffer. My husband wants a baby so much and he warmed me to the idea. During the years I discussed this with myself and with God and came to peace with myself. I explained every word and feeling I felt. I prepared myself so much for the baby and for parenthood. I accepted her (I suspect it was a girl) with such joy, I was so happy when I found out I was pregnant. My husband was so excited… And everything my family or his family or people around me see, when they look at me, is a walking uterus. It’s disgusting. My husband and I found out we were expecting our 3rd baby on Feb. 7th, 2016. It was a complete shock. We weren’t trying, but we and our 2 boys ages 13 & 9 were completely excited. On March 28th at 11 wks 3 days I miscarried our surprise baby. I have good days and bad. They come in waves. I believe I have experienced every emotion there is since that day. Having a miscarriage is traumatic, but mine became dangerous and scary very quickly. I had nightmares for weeks. I would have been 31 weeks today! So many of my friends are pregnant and having babies right now and I find it so hard not to be jealous. I’m okay knowing that when my baby opened its for the time if it wasn’t me that he saw at least it was the face of Jesus he saw. I can’t be angry with that. That gives me peace when I start to feel angry, jealousy or anxious about our our loss. I’m constantly reminding myself that God only works things out for my good and that though I don’t understand why, he had a reason. The loss and hurt is still there, but each day gets a little easier to handle. Yes, I still cry and my heart is still broken. My life changed that day. There is nothing more gut wrenching than to see your baby on an ultrasound screen knowing he has no beat. That feeling is indescribable. I know where my hope lies and who my heart belongs to. I cling to that promise that one sweet, precious day I will meet and hold my baby! Thanks for sharing this! I miscarried in 2014 at 8 weeks and it has been, hands down, the most painful thing I’ve ever experienced. It’s also been one of the times I’ve felt closest to God…her gave me all I needed through various people, His Word, confidence in his goodness. I know am holding the baby that came after on her 1st birthday. She’s our courageous return to joy…and why we named her Riley (courageous) joy. I recently miscarried twins, a shock I was pregnant with twins a blessing then turned into a tragedy. Sad and angry are two of the feelings I keep battling. I ask myself am I that terrible of a person that I deserve this? Am I not worthy ? Faith for what? Who could ever want this for anyone? god ? Then I have a moment and am thankful for my other blessings. I do have a amazing son, I’m here. We’re here he’s healthy. Blessings!!!!!! !…….Reading this doesn’t make my pain any less hard to bear but offers a perspective from someone who has been where I am, knows exactly what I’m going through, and can relate mentally. Honestly this has been the first time since I miscarried that anyone’s words have offered any type of hope or comfort… Thank you!!!! It has been over 50 years since I had a miscarriage. I remember it as if it were yesterday and I am 72 years old. You do not forget. I was in the early stage but, it still hurt. I know that someday I will meet this child . I had my miscarriage 5 days ago , this was my first pregnancy and i found out it was twins. I am so devastated and low. I am angry and feel so let down………its so hard and i feel all alone. I had my first miscarriage 4 months ago. Im surrounded by friends who are getting pregnant. My 6 year niece asks me if I am a mommy yet. I believe in God, but am struggling right now. I know He is with me, but where was he when this happened?!? I try my hardest to be a good person, and to think of others. Again, I know that God has a plan, but patience is definitely not something I have right now. Will it ever get better? I had 4 miscarriages in the first 4 years of our marriage before being diagnosed with a blood clotting disorder…had 1 more after…. definitely cried out to God….and though hindsight is 20/20, it most definitely grew my faith, even though I didn’t feel it then….. I’m now a mother to a 3 year old that was definitely God given thru adoption. And though I still on occasion feel sorrow and grief for those miscarragies , His love, grace and lesson of my own ADOPTION into the family of God reminds me that His way is perfect. As we are about to embark on another journey of adoption, He reminds me daily of His love for me, a daughter adopted into His heavenly and eternal family . I have had two miscarriages this year. One in January at almost 13 weeks, and I’m currently going through another (I should be 11 weeks but the baby stopped growing at 6). We have two boys 4 and 2, both of their pregnancies were healthy and normal so it’s hard for me to understand why this is happening now. Thank you for sharing your experience. I had a misscariage about 5 months ago at 6 weeks pregnant . I still find myself looking for answer to God to why, why me and would bless me with a second child . I have a 2 yrs old. I also find myself scare that it would happen again and not understating on how to completely deal with my loss , but I pray to God to help me understand what I can and I try not to think about it and try to have faith. I had my first loss about a year and a half ago and my second just last week. They were both at around 17 weeks gestation. I’m feeling many of the things you wrote about, and it’s honestly hard for me to pray or worship right now. I know in my head that God is holding me but it’s hard to feel it in my heart. I miscarried our 4th a year ago this past summer. I had always thought how awful it must be when I heard women go through a miscarriage, but my imagination paled in comparison to reality. I had a very difficult miscarriage physically, but even that was almost insignificant given the emotional pain. It is a very lonely experience, even with an amazing husband. I would add to your list 2 lessons I learned. First, I learned to allow myself to be held-by God and by others. There is no comfort in this situation apart from His perfect comfort. Rest in it. Also allow others to hold you, by being His hands and feet. The second would be that God does not waste pain. Use your pain for Him. I have been able to help a few women already because I can relate in a way women who have not experienced a miscarriage cannot. I still cry and I still wonder why, but I know God has my best interests in His plan. Even when that means I will suffer. As horrible as the experience was, I had a peace amidst the pain. Indescribable peace given the loss. That kind of peace only comes from Him. I just went through a painful miscarriage and I find myself being very angry with God over it. I have never been angry with God in my life and I have gone through some horrible times. But now I feel like I’ve been punished which is hard because I have been turning my life over to God and trying to keep myself from sin as much as I can. When I found out I was pregnant I thought I was being rewarded. Now I feel empty and alone. I feel that since I am feeling so angry that I will now be punished for feeling this way. As you can see I am a mess. I had a miscarriage after just 10 days of knowing I was pregnant. I know it’s not the same as a stillbirth but after that I purposed in my heart to never glance over a conversation about miscarriage. I’d always stop and say I’m sorry and I know that sadness. I don’t have any deep and profound words, only to say that we live in a sin-filled, sin-covered world. Bad things happen all the time that grieve the heart of God. Every good and perfect gift is from God (James 1:17). He doesn’t rejoice over our pain. He weeps with us (John 11:35) and he sings over us with joy and promises quiet for our confused, scared, angry, and lonely hearts (Zephaniah 3:17). God shows and calls Himself a Father, a good Father. So, as you think of your sweet baby, think also of your good Father, longing for you, loving you no matter the situation and longing to comfort you in the midst of your pain. Cry out to him as your baby would cry for you–he can take it and will take it. He loves you and wants to bring you to his joy. And he knows and loves your sweet baby today, too. I just recently had a miscarriage, and I have found it very difficult to lean on my faith. This really blessed me. Thank you for sharing. My husband and I have been trying to conceive a baby for 10 years. I went through fertility treatments and 41 failed treatments. We decided to try 1 more time last month. I got the phone call last Friday that it was successful and we were pregnant! Our hearts were so overjoyed that God had blessed with baby. I had 2 follow-up bloodwork visit. The 1st visit was this past Monday my HCG levels doubled and my last visit was on Friday. My levels dropped and my Dr. told me to prepare myself for a miscarriage. Our lives turned upside down all within 1 week. I don’t understand why God would bless us with a pregnancy for to it end in miscarriage. We’ve longed to become parents for so long. I’m deeply saddened with grief and I feel hopeless.